Infusion - The masterful art of harmonizing perfectly ripened fruit to Ultra-Premium spirits through a delicate, skillful and timely process. One element of the fruit is introduced at a time to reveal the fruit’s true essence at the peak moment to create a cocktail of perfection without fake flavors or colors. Like the making of a fine wine. This was really cool with the peppers actually floating in the bottle. I am a real pepper lover so I was excited to try this. The aroma was a bit weak on pepper smell, but a good agave aroma. The product was amazing light and sweet. It was not heavy at all, very light on the palate. The peppers were dry with low flavor, not hot at all but it was missing a sweet pepper flavor. I nice diversion for the price. but I could use a bit more tequila and pepper flavor. I liked it but it was a bit less than what I expected. I was afraid to try this one as I'm not a huge fan of spicy foods, but was plesantly suprised. It does have some heat to it but not so overwhelming that you can't enjoy it. Sugar and spice and everything nice. 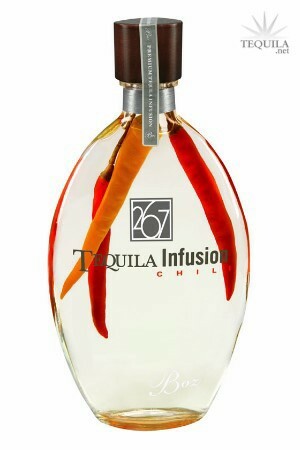 I absolutely love this product, truly a huge fan of 267 Infusions. I was unsure of what to expect until I cracked open the bottle to experience an incredible nose. You get a real feel of what it's going to taste like, and it tastes even better than the aroma alludes to. Then I sipped- and this is a sipping tequila which are few and far between- and was delightfully surprised. Spicy and hot at first, then smooth down the throat. I love the packaging too. This is a perfect gift and when we finish the bottle we even cook with the chili peppers. 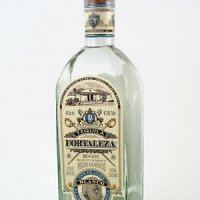 My favorite tequila, hands down.